This week, we will take time away from our students and classrooms to celebrate and give thanks with family and friends. 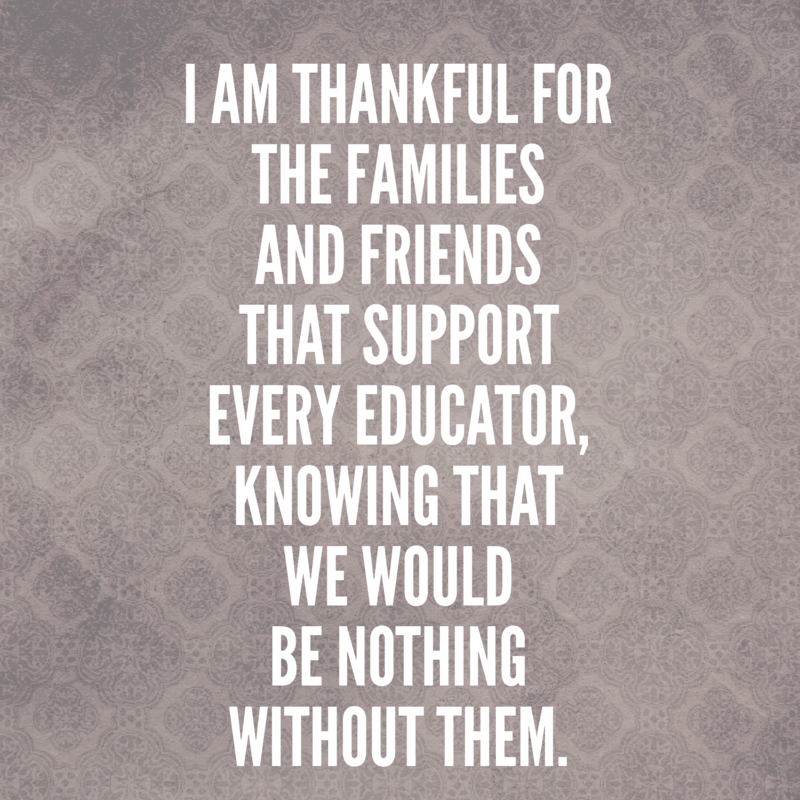 While we do this, it is important to remember and share all in education that we are thankful for. 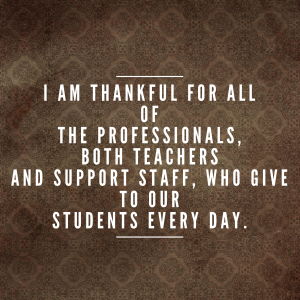 I am thankful for all of the teachers that make a difference for our students on a daily basis. I am thankful for the administrators who continue to push boundaries in order to improve outcomes for students. I am thankful for the parents and guardians who continue to support their children, giving them the resources needed to be successful. 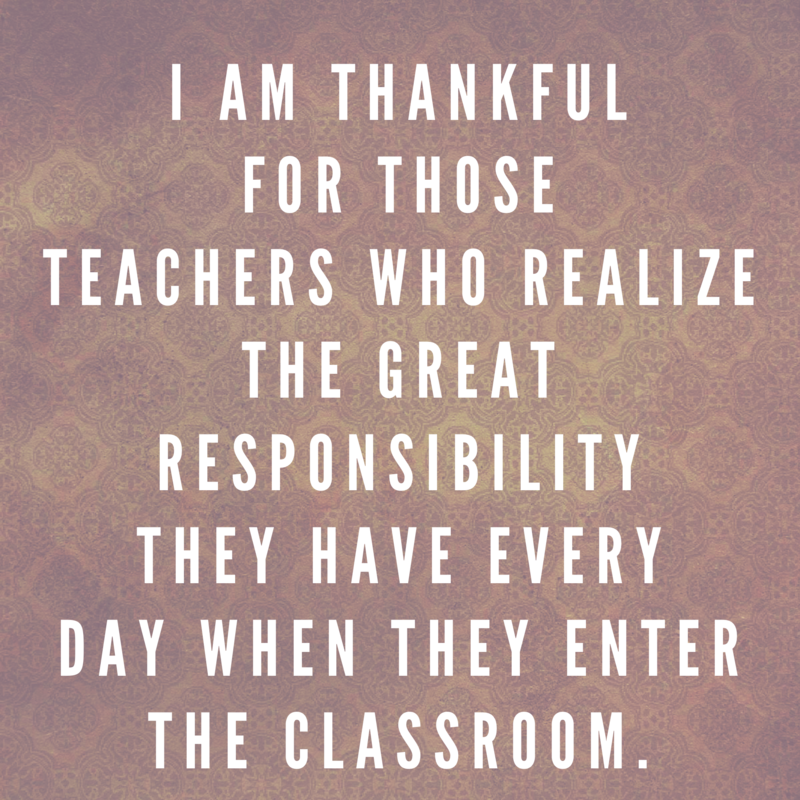 I am thankful for the teachers who expect that students will leave their classroom as better people, not just better learners. 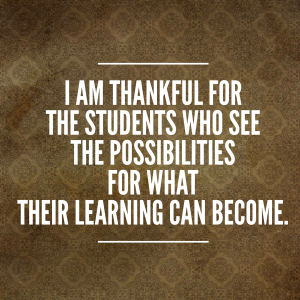 I am thankful for all of the adults, both educators and parents, who continue to challenge the status quo to improve learning for their children. 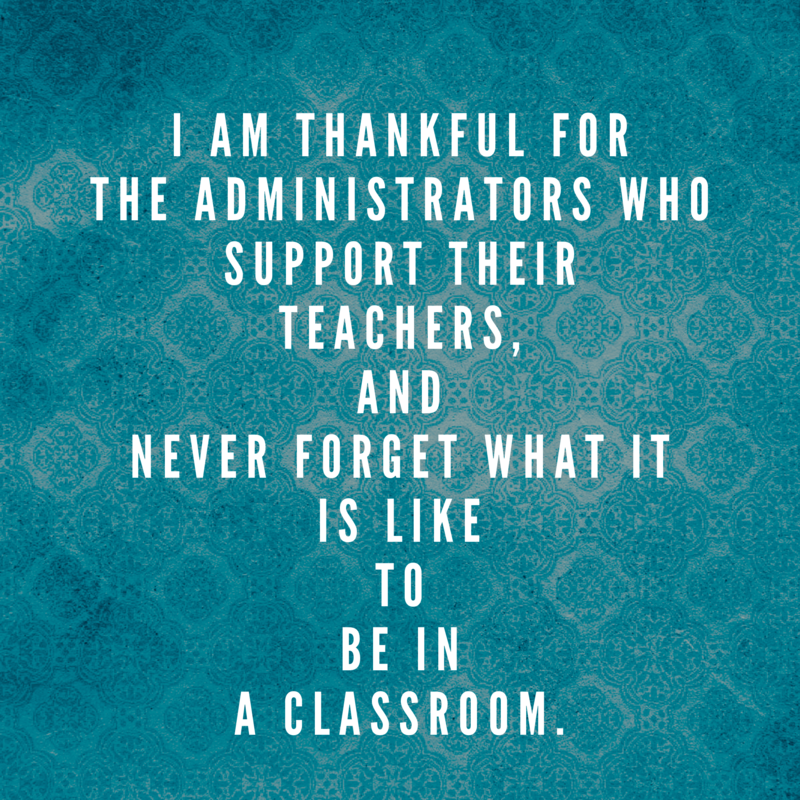 I am thankful for those colleagues, both past and present, who have impacted my own teaching and learning. I am thankful for all who realize that learning is a lifelong pursuit, and that we must instill this in our students. 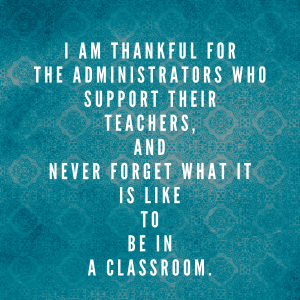 I am thankful to all of my former students who have continued to inspire me in this profession, often letting me know years down the road that I’ve somehow made a difference. 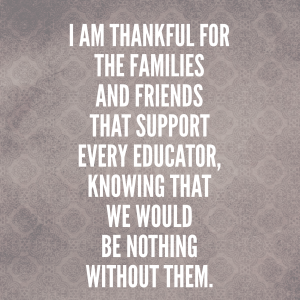 I am thankful for all of the opportunities that education has given me, especially the ability to work with students every day. 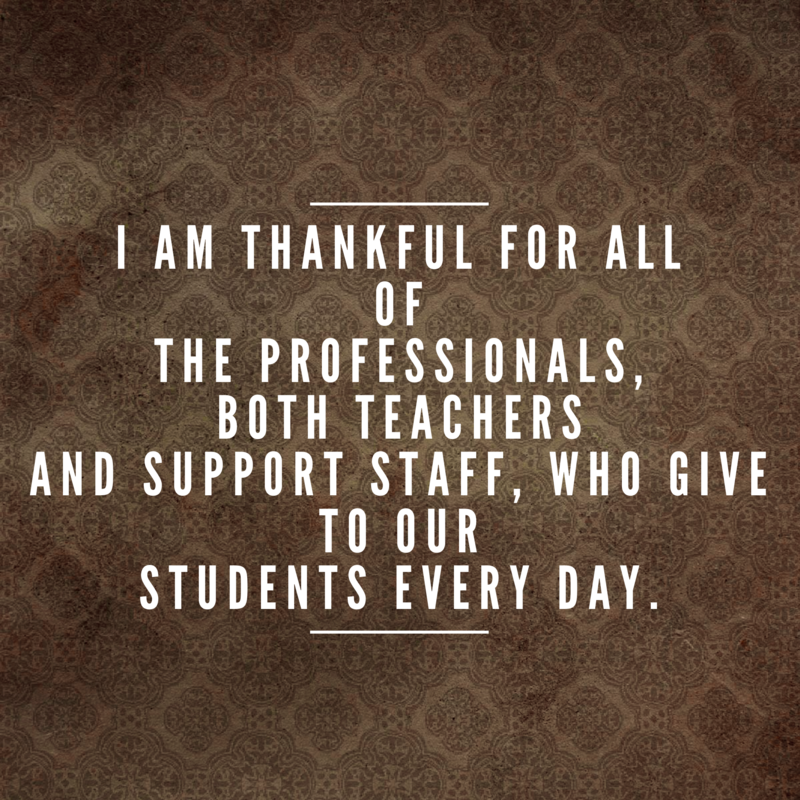 What in education are you thankful for? Share at #4OCF on Twitter.